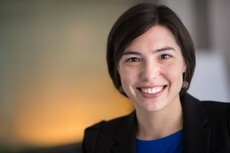 Amber Willink, Ph.D., is an Assistant Scientist of Health Policy and Management and Assistant Director of the Roger C. Lipitz Center for Integrated Health Care at the Johns Hopkins Bloomberg School of Public Health. Her research uses predictive modeling to examine trajectories and health outcomes of older adults and inform policy for health and long-term services and supports. She is also focused on issues of access to and cost burdens of non-covered Medicare services. Dr. Willink received her doctoral degree in health services research and policy from Johns Hopkins University and her dissertation examined the midlife health and behavioral factors that predict disability and long-term nursing home stays using the Health and Retirement Study. Additionally, she has published on international health policy comparisons and cost-containment strategies in the New England Journal of Medicine. Willink, A., Schoen, C., & Davis, K. (2017). Consideration of Dental, Vision, and Hearing Services to be Covered Under Medicare. Journal of the American Medical Association, 318(7), 605-606. Willink A, Davis K, Schoen C, Wolff J. Physical and/or Cognitive Impairment, Out-of-Pocket Spending, and Medicaid Entry among Older Adults. J Urban Heal. 2016. Davis K, Willink A, Amjad H. What is the potential for improving care and lowering cost for persons with dementia? Int Psychogeriatr. 2016;28(3):357-358.